The man in the business suit looked up from his phone when the tall blonde pushed through the glass doors of the office building, the rapid clicking of her high heels reverberating through the lobby as she hurried toward the receptionist. She hoisted her shoulder bag a little higher and set a cup of coffee and sheet of paper on the counter. “I have a ten o’clock interview with Christopher Hill. I’m so sorry I’m late. There was an accident on the Beltway.” She sounded panicked and slightly out of breath. He watched her with interest from his seat directly across from the reception desk. Arriving thirty minutes early for his appointment had left him with a severe case of boredom, and he welcomed the distraction. “Please have a seat. I’ll let Mr. Hill know you’re here,” the receptionist said. As the woman turned to go, her elbow hit the coffee cup. Though they both reacted, neither she nor the receptionist moved fast enough to catch it before it spilled. There wasn’t enough coffee left in the cup to make a truly embarrassing mess, but it was enough to ruin the piece of paper lying on the counter. “Résumé?” the receptionist asked. She looked old enough to be the woman’s mother, and her expression was kind and empathetic. He couldn’t help but feel sorry for her. The receptionist hesitated as if she seemed a bit uncomfortable with the request. But before she could protest, the woman leaned over the counter and pressed the USB drive into her palm. Then she pointed to a picture on the desk. “Whose baby is that? I’ve never seen such a beautiful child. He could model for baby-food ads.” She picked up the silver frame and took a closer look. The receptionist waited, the USB drive held awkwardly in her hand, but finally she inserted it into her computer, and moments later the printer whirred to life and spit out a piece of paper. “You’re a lifesaver,” the woman said, holding out her hand for the résumé and tucking the USB drive safely back into her bag. The woman sat down next to him, giving him a nod and a smile. She held the résumé loosely, careful not to crease it, and waited patiently. The woman rose and walked toward the reception desk. “I don’t understand.” She sounded utterly defeated. He caught a glimpse of the woman’s pink cheeks as she turned to go, and she left the building as quickly as she’d entered it. The man left the building and headed for the parking garage to his left. The temperature was still in the high fifties and quite mild for early November, but the colder weather he loathed would arrive all too soon. The woman who was having a colossally bad day was up ahead, walking a little slower now. He followed her into the garage and quickened his stride, catching up to her on the landing of the stairwell that connected the first and second levels. When he was close enough to reach out and touch her, she turned around and they slapped their palms together in a victorious high five. Ian pulled Kate into his arms and squeezed her tight. “Too smooth,” she said, smiling and running the back of her hand along his clean-shaven cheek. He lowered his mouth to hers, and her bag slipped off her shoulder and landed on the concrete floor. “I thought we weren’t going to break cover until we were in the car,” she said between kisses. She kissed him and ran her fingers through his hair, which he hadn’t cut since the wedding. Why bother? Kate liked it long. He hooked her leg around his hip, causing the skirt of her business suit to ride up, and deepened the kiss because there were few things he enjoyed more than kissing his wife. When he finally pulled away, he reached for her hand and led her up the stairs. The Escalade had been swapped out for a white Lincoln Navigator on their way back from Roanoke Island, and Ian unlocked the car and opened Kate’s door. “Now what?” she asked as he slid behind the wheel and headed for the exit. “I’d love to tell him the beautiful woman in the lobby was my wife and that it was her very first assignment, but I’ll refrain from bragging.” As proud as he was of Kate, the last thing he wanted to do was draw attention to her, and he certainly didn’t need word getting around about a husband-and-wife hacking team. “That’s why we practice.” He and Kate had rehearsed dozens of possible scenarios so she’d be prepared no matter what obstacles she encountered. Ihhhhhh!!! It sounds amazing! I can’t wait to read White-Hot Hack!! Loved the first and sure I’ll lve the second one! Wow I can’t wait for this, sounds incredible! I missed these two! I can’t wait! I loved Heart-Shaped Hack. I am glad we are getting more of Kate & Ian’s story. I loved heart shaped hack and am so excited for more!! Thanks for the chance!! I’ve missed him so much!! Same, really missed him! I seriously can’t wait to read the shenanigans I know he will be up to :D Have you read it? Can’t wait to read this book! I loved Heart-Shaped Hack! I have heard great things about this author and these books. Would love to win; thanks for the chance. Gotta love smooth penetration ??? Absolutely fell in love with Heart-Shaped Hacked! Can’t wait to read White-Hot Hack!! Thank you for the chance Natasha!! I LOVE Kate and Ian!! The first book in the series took me by surprise. I had never read anything by this author before so I wasn’t sure what to expect. Turns out it was hilarious, suspenseful, and had wonderful writing. I absolutely loved the first book and cannot wait for the second. This sounds just as good as Heart-shaped Hack. Can’t wait to read. Thanks for the preview! Can’t wait to read this book! Love TGG! Can’t wait for this! I really enjoyed reading Heart Shaped Hack, now I’m itchin’ to read more of Kate and Ian. Thank you for the chance. June 7 can’t come quick enough…can’t wait to read what happens with Kate & Ian next!! Sounds sooo good! Want to read~! Thank you so much!! I love Tracey and her stories ! Can’t possibly contain my excitement for White-Hot Hack! I sooooo loved Heart-Shaped Hack and am looking sooooo forward to White-Hot Hack!! Thanks so much for the great giveaway!!! Sounds like another excellent storyline!! Can’t wait to read it!! I just bought Heart Shaped Hack and can’t wait to dive in! I have heard nothing, but amazing things about it! 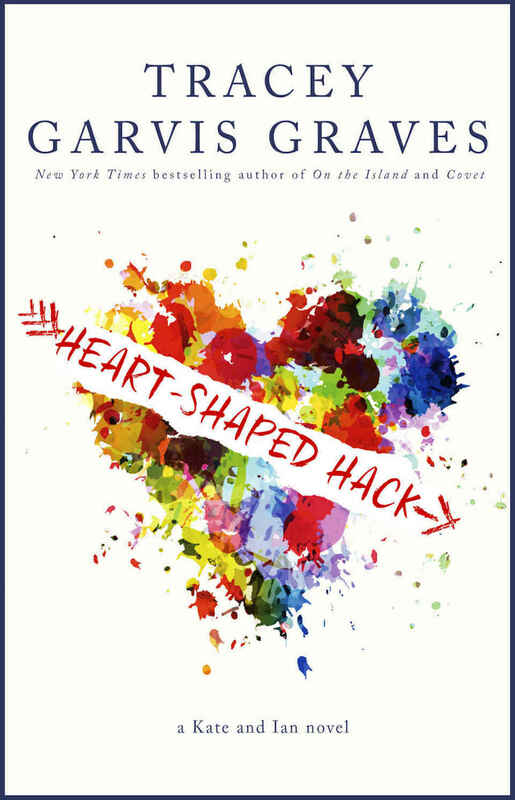 Heart Shaped Hack was one of my top two reads last year! I CANNOT WAIT for White Hot Hack! It looks amazing! Can’t wait to read! Love Ian! I can’t wait for June 7th!! Great prologue. I’m intrigued, can’t wait to read more. I absolutely loved heart shaped hack, and have been looking forward to the sequel. I have the first one but have been waiting for this one to come out to read it. Can’t wait. Yay!! Loved the first one. 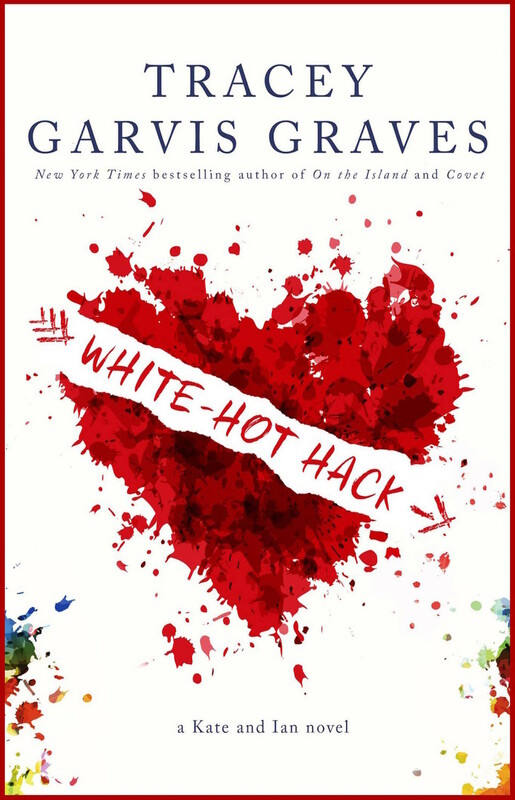 I just finished White-Hot Hack and LOVED it! KateandIan4eva:) I would love to have a signed copy on my shelf. This sounds like a great read. The prologue also shows how easily we can be hacked. Scary! Can’t wait for White hot! I can not wait to read this!!!!! I loved Ian and Kate so much! Can’t wait to see what’s next!! I love it! Can’t wait for it to finally be here!! Loved Heart Shaped Hack❤️ Can’t wait to read the next!! Loved book 1 (5 star for me) and can’t wait to read the next book. The prologue was awesome! I can’t wait to read more of Kate and Ian! I wonder what they’ll get up to this time! Loved the first one and can’t wait for this one! It’s already in my TBR for a long time! Can’t wait to have it in my hands. I’ve loved all of Tracey’s books and can’t wait to read this one! Just finished the first one so I CANT WAIT for this one!!! I am do looking forward to reading these books, can’t wait ???? LOVED the first one and I cannot wait for the second one! These covers are GORGEOUS…especially together!!!! Sounds like a fun series. I’ve read and loved some of Tracey’s other books. Thanks for the chance! Gaah I loved the first book, one of my favorites of all times (just like On the Island) can not wait for this one, it sounds great already. This is an Awesome Giveaway…Thank You! I can’t wait to read. Shave been waiting, waiting, waiting! So excited for this book! Thanks for the chance to win! Can’t wait to read this! I’ve seriously been waiting forever for the second book, I absolutely adored the witty banter berween Ian & Kate! One of my all time favorite books!! I haven’t read Heart Shaped Hack yet. It’s in line for my holds. I like the covers although it doesn’t give much insight into the story. Maybe after reading the book it will. Wow can’t wait!! This looks great! Thank you so much for the opportunity to win I would love to read these books they sound wonderful!! I loved Heart Shaped Hack and I am so excited to read this one!!! Loved Heart-Shaped Hack, can’t wait to read this! I’ve heard such good things about the first book, def. need to bump it up my list so I can read book 2! Can’t wait to read book two. Thanks for the chance! Super excited for White-Hot Hack’s release!!!! So looking forward to it. Love it! Amazing Giveaway!! I can’t wait to read White Hot Hack. Loved Heart Shaped Hack! Can’t wait for White Hot Hack! Great giveaway, thanks for the chance!! Sounds like a definite addition to my immediate TBR list! I cant believe I missed these reads!! They sound right up my alley! So happy to get to read more about Ian and Kate! I am so excited for the continuation of Ian & Kate”s story!!! One of my all-time favorites!!! Loved this!! Too good and can’t wait to read it! Loved the excerpt ….thanks ! I just pre-oreded it! I can’t wait to get my hands on it. I loved the first one and I’ve been dying to read the sequel. I loved Heart Shaped Hack, especially Ian and his humor. Can’t wait to read more of their story! Thanks for the chance to win these gorgeous books!!! Hahahaha “penetration” love it!! I can’t wait to read this! I can’t wait! Thanks for the prologue! Can’t wait for this book! Its just recently that I’ve read the first book and I’m so excited for this one!! Cannot wait till June 7th!! I can’t wait to read this book! only 3 more days!!!! Love this Story…thanks for the great giveaway! Looks great! Thanks for the chance!!! Heart-Shaped Hack is one of my top favorites! ♡ I can’t wait for the continuation of Ian and Kate’s story! Thank you for the fantastic giveaway! Sounds amazing. Can’t wait to read it.